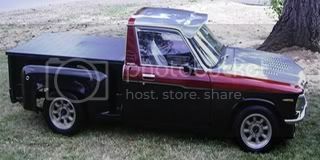 LUVTruck.com • View topic - PLEASE DO NOT POST CLASSIFIED ADS HERE!!! Post subject: PLEASE DO NOT POST CLASSIFIED ADS HERE!!! Post subject: Re: PLEASE DO NOT POST CLASSIFIED ADS HERE!!! ps, also newer members, can you please fill out your profiles with your location so we know where you are at. where's all the luv at? Wow, I've been gone a while. I never though we'd ever need a sticky like this here... What happened? Nothing big, just getting really tired of having to move about a post a day of someone looking for a part and posting it in this section. Seems like a lot of newer members cant seem to find the classifed section, fill out thier profile or find the search button.